Home / seo / Does hosting affect SEO? Bottom line, Yes. Your hosting will affect your website’s seo. For the most part the faster your page loads the better in Google’s eyes. Your web host will have a lot to do with your page load times. If your host has way too many websites on one server your site is likely to suffer. You can run a website speed test very easily to see your baby stacks up against other sites. I like to use Pingdom (http://tools.pingdom.com/fpt/) to check for page load times, analyze and find bottlenecks. Other factors that will help you rank better are using a dedicated ip. If you want to go even further then get an SSL certificate too. All these things help a little bit but ranking is king and these are some quick things that you can knock out once and leave it on autopilot. In my experience using a quality managed wordpress hosting account will help seo rankings. The primary reason – better user experience because faster web sites make for happier visitors. Managed wp accounts with various web hosts live on specially tuned servers that are optimized for wordpress and for wordpress speed. Which is the best hosting company? I believe that WP Engine is definitely the best hosting company for a wordpress website. 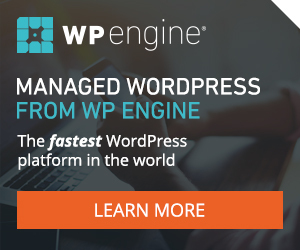 Why do I recommend WP Engine? What are the drawbacks to fast hosting? Technically none really. But the real drawback to using quality managed hosting is price. They tend to cost much more than a linux hosting account or a windows hosting account with say Hostgator or Ipower. But you get what you pay for. I personally use WP Engine managed wp hosting on my most important websites. These are the sites that I want to rank really well. Like my money sites or the websites of my premier clients. If I sell a budget website where the total monthly fee is less than $20 per month than I cannot use a quality host because I’d be upside down. If you want to try out one of the fastest wordpress platforms in the world use the link below. Just keep in mind that the link will expire on 9-30-2015 and after that day you may not get the four free months with an annual plan. Get 4 months free hosting with WP Engine. Use code FASTSITE on shared annual plans. Expires 9/30/15.